*Spill Safe moisture guard prevents stains. *Antimicrobial additives to inhibit odor causing mold, mildew & fungus. By Choosing SmartCushion, you are joining the fight against breast cancer. 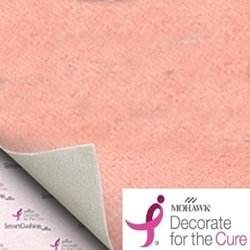 Mohawk proudly donates a portion of every sale to Susan G. Komen for ongoing breast cancer research.